Tags: Mastering in Adobe Audition, Mastering in Reaper. “You have a very cool website here! To see someone who values education as highly as you do is great. That aside, I would like to ask for your advice. I’m in a band that just received a recording of a live show we played. It’s just a stereo recording done with two condenser room mics and recorded to a DAT machine / cd writer. I have no idea where to start in doing this. Think you could help by offering any suggestions on how i could clean up the recording? I could maybe send the WAV files to you if you’d like to listen. I also have Adobe Audition and ProTools M-Powered for audio editing capabilities. 1.) The mix down is originally provided at 44.1 KHz and 16-bit WAV. 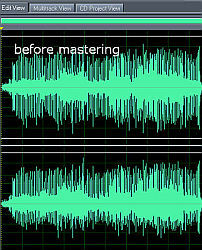 Ideally in mastering you should be working at a much higher bit rates. So the first step is to convert it to 24bit/96Khz. 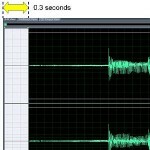 The primary reason is to minimize the artifacts caused by the mastering effects. 2.) The raw mix has some strong bass frequency response. 3.) The “presence” is lacking. The vocals are not prominent, it is somewhat buried in the mix. 4.) The high frequency response is OK but still need a bit of cutting. 5.) The average SPL of the raw mix down is around -26.79 dB, so it’s indeed quiet. Step1.) I up sampled the raw mix from 16-bit/44.1Khz to 24 bit/96Khz for reason stated previously. 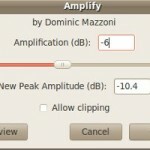 Most audio mastering software has this feature. However if the mix is already in 24 bit/96Khz, then there is no need to up sample. Step2.) 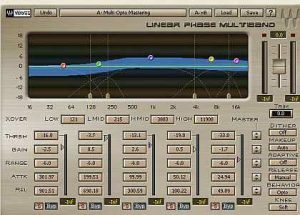 I use multi-band EQ to both EQ and compression at the same time. 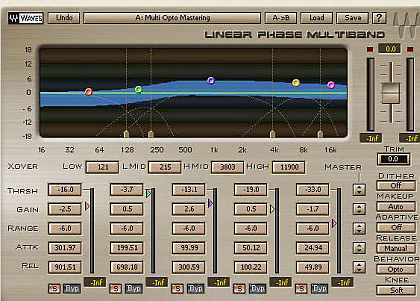 This is the multi-band compression settings applied.